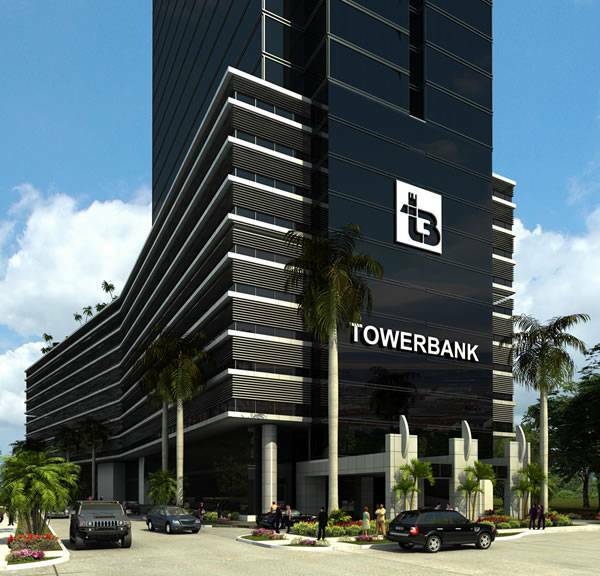 Location: The Tower Financial Center will be located in the heart of Panama's financial district at the intersection of Calle 50 and Elvira Mendez, near other main office buildings and hotels in downtown Panama City. 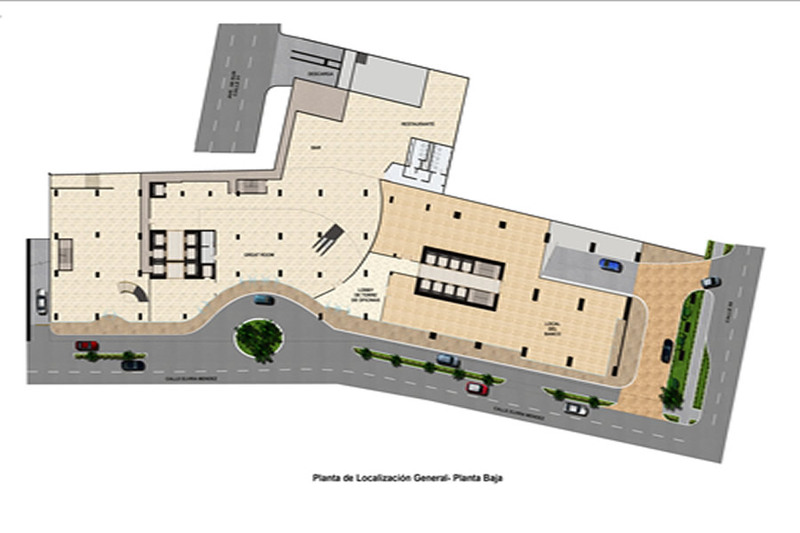 The building has been conceived with all the technological advances and features of the most modern trends, to reach important local and international corporations. 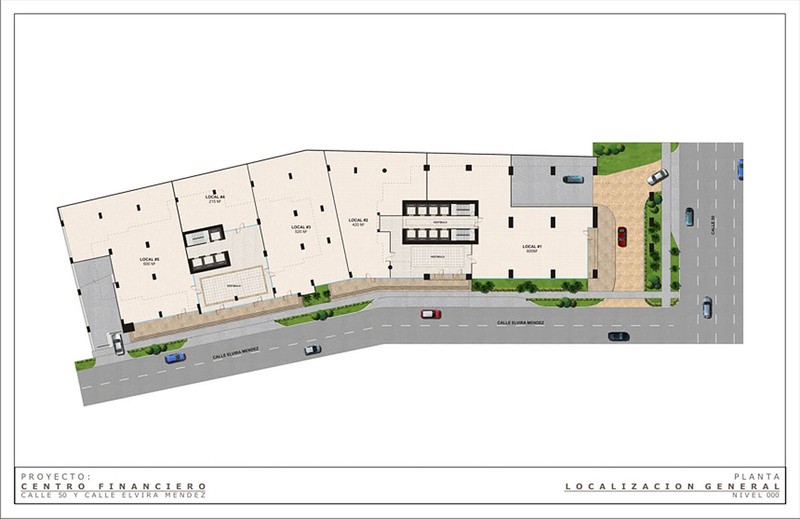 The building will consist of a 3-level-basement parking area, a Ground Floor, a Mezzanine, up to 9 levels of deck parking, 25 stories of 1095 square meters of area, 8 stories ranging from 1062 to 798 square meters of area, and 7 stories of 789 square meters of area. 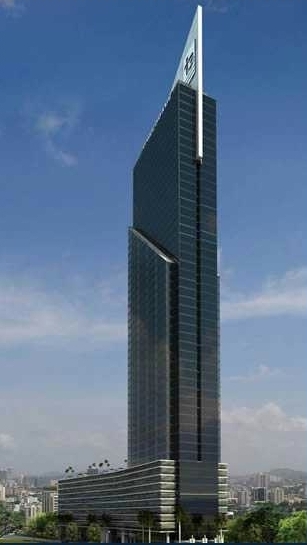 Tower Financial Center amenities include: Port Cochere at the Main Entrance; Outdoor Plaza with illuminated landscape and fountains; Elegantly decorated main lobby; Security control and alarm system. All accesses to the building will be controlled by coded cards; Security office in the main entrance with monitors for 24-hour supervision of all entrances to the building, elevators, public areas and all the emergency and fire detection systems (life safety systems); Pumps and main lines for a fire sprinkler system. Sprinkler system in the parking levels; Visitors' parking spaces; Eight (8) hi-speed, 20 passenger elevators of the highest technology by Mitsubishi 9; Emergency electric power generator sufficient to supply needs of the entire building and systems; Energy management and control system; Fire detection system with heat and temperature sensors in all ambiences and supervision panels in the security office; Provisions for the highest technology in communication systems; Two (2) emergency stairs in compliance with all current security regulations; Low-E double pane insulating black glass mounted on a Unitized Curtain Wall structure with black anodize aluminum framing capable of reducing radiation heat gain by 70%; Building automatization system. 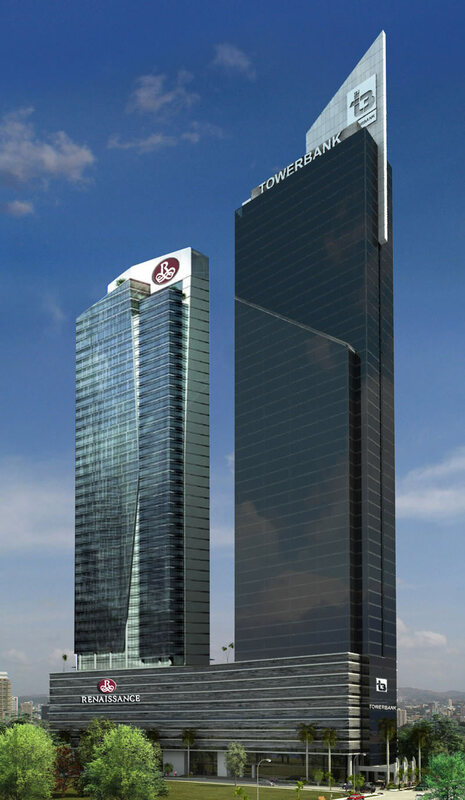 Nearby Amenities: The Tower Financial Center will be adjacent to the Panama Marriott Hotel, with direct connection through an enclosed gallery, making available all of the hotel's facilities such as boardrooms and restaurants available to residents of the Tower Financial Center.